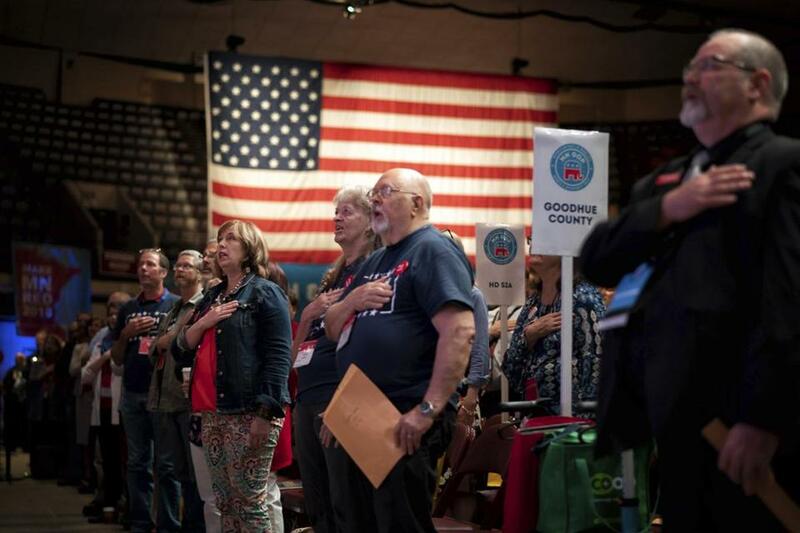 Attendees stand for the Pledge of Allegiance during the second day of the Republican state convention in Duluth, Minn., on June 2. For once, the author of “The Great Gatsby” — that classic novel of corrosive wealth — fought Hemingway to a draw. In the politics of 2018, billionaires like the Koch brothers and Sheldon Adelson are very different indeed — precisely because they have more money. That’s America after Citizens United. A seminal study in 2013 by professors at Northwestern University confirmed that, in terms of political influence, the top 1 percent rules. Two thirds of those surveyed — worth, on average, $14 million — contributed to political campaigns. Reflecting their affluence, their viewpoints are conservative: they are twice as likely to be Republicans as Democrats, and advocate policies which, in general, are directly at odds with popular opinion. And they are far more audible to those who purport to represent us. Paul Ryan announced he will not seek reelection. Could there still be hope for the GOP? Read: Who is Tom Steyer, and why is he saying those stupid things about impeachment? Every election cycle widens this influence gap. In 2018, the Koch brothers’ fundraising network — now more than 700 people who pledge at least $100,000 annually — plans to spend $400 million on right-wing candidates and causes. Their investments included $20 million in support of President Trump’s budget-busting tax cuts. But they are now set to attack his tariff programs, suspending GOP legislators between their fear of offending Trump and outraging their financial patrons. Don’t bet against the brothers. Or against Adelson. 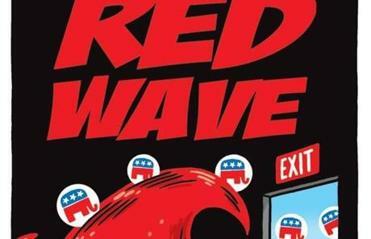 Fearful of a blue wave in 2018, party grandees from Paul Ryan to GOP chairwoman Ronna McDaniel rushed to Las Vegas to offer obeisance to the right-wing casino magnate. In response, Adelson pledged $30 million to a super-PAC dedicated to protecting the GOP’s majority in the House. To cement their influence, donors like the Kochs fund the Federalist Society, whose mission is to ensure that Republican presidents appoint federal judges predisposed to moneyed interests. This accounts for Citizens United, which unleashed unrestricted campaign spending by corporations and super PACs. In reaction, our elected representatives spend countless hours courting the wealthy. Increasingly, their views are shaped less by average voters than by lobbyists and donors — until they can no longer distinguish their beliefs from political self-interest. The chief impediment to this plutocratic dominance are interest groups affiliated with the Democratic party — especially public sector labor unions. Now, in the Janus case, a conservative majority of the Supreme Court — including four GOP appointees affiliated with the Federalist Society — is set to overturn established precedent which allows a union chosen by the majority of its members to collect dues from all. The barely hidden agenda is to gut the ability of unions to help fund Democratic candidates, giving the wealthy a virtual monopoly on political purchasing power. The result will be policies which exacerbate income inequality — which, in turn, widen the disparity in political power, until democracy itself becomes a hollow promise. As popular distrust of our government accelerates, so does the desire for a strongman who will smash the political system and redress the grievances of ordinary people. In his inaugural address, Trump promised that “we are transferring power . . . back to you, the people.” He then filled his cabinet with billionaires and servants of the 1 percent. In a plutocracy, no one will.